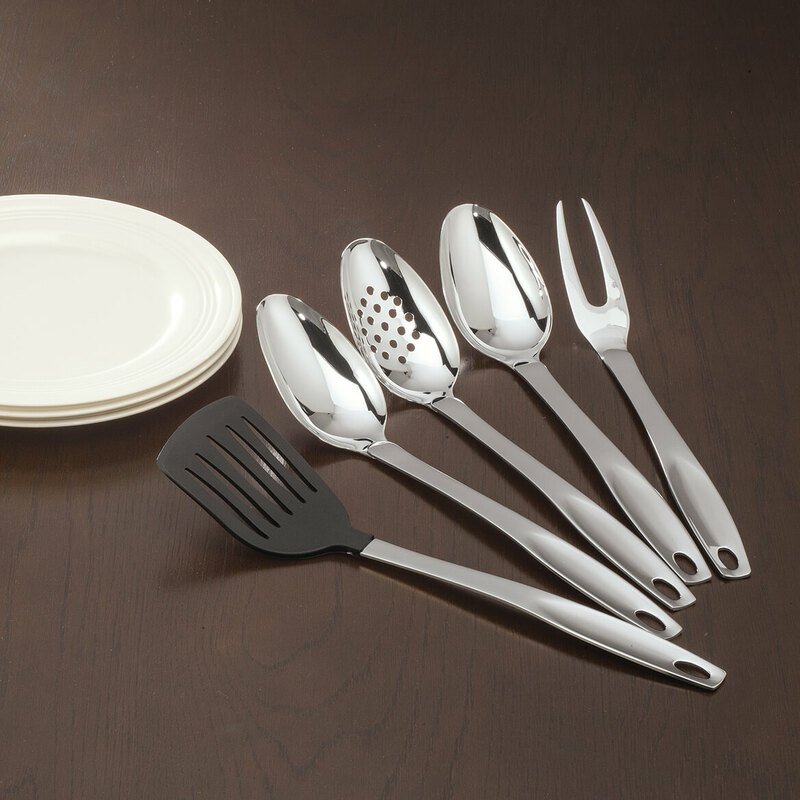 This is an excellent variety of utensils and the stainless steel makes it better. I wanted some matching serving pieces. Will look good for Thanksgiving. How big/small are they? In inches? BEST ANSWER: Thank you for your question. 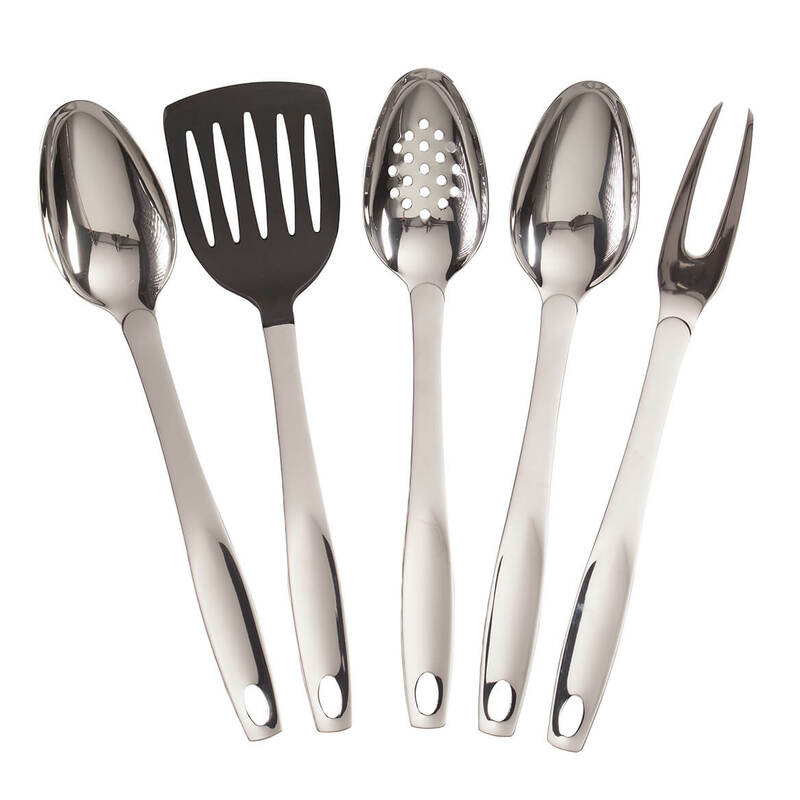 The spoon (2 of these)- 12 1/2" L x 2 1/2" W slotted spoon - 12 1/2" L x 2 1/2" W spatula - 12 5/8" L x 3 1/4" W fork - 12 3/4" L x 1 1/4" W". We hope this information will be of help to you.